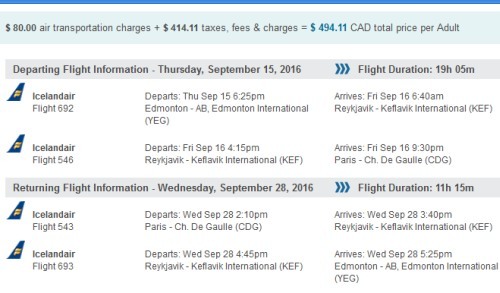 Icelandair has dropped the price of their fall 2016 flights from Edmonton to Paris, France down to $484 CAD roundtrip including taxes. This is 49% below the typical best prices between Edmonton and Paris. 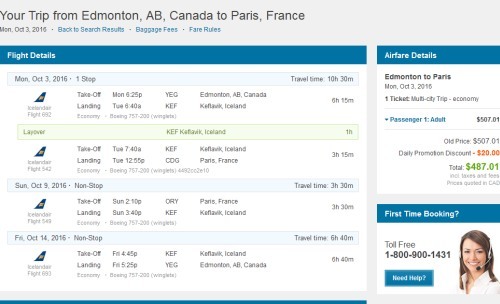 It's also possible to visit *both* Paris and Iceland on the same trip for $4 more. Icelandair includes 2 free checked bags on their flights. 3. Click through from Google Flights to either the Icelandair website or Flight Network. Click on 'Change' to try other dates. 2. Try other date combinations. Here are some other examples that work out to $488 CAD. Different combinations of the above dates are likely to work as well. 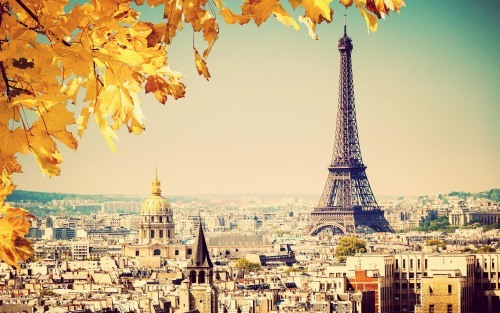 You can substitute Copenhagen (CPH) for Paris, and the prices will be similar. edmonton, yeg, europe, western europe, northern europe, paris, france, cdg, icelandair, nordic countries, iceland, kef, scandinavia, denmark, cph, copenhagen and ory.